As you move into a home, whether it's your first apartment or a new house, there are some essentials that you will need. Housewares are a large category and you might feel overwhelmed while shopping. At the most basic level, you really only need the absolute essentials to live well. Most of these will be in your kitchen because food is an important part of home life. The rest of your home requires just a few items to keep it clean and well-organized. You can always add more items as needed, but for now, let's explore the bare minimum of housewares every home should have. Floors get dirty; it's a proven fact. They get dirtier faster with the more people that live in your home or if you have pets. Of all the appliances you could buy for your home, a vacuum is essential. It is important that you buy a vacuum based on your needs. If you're single, a small, inexpensive model may do the trick. With kids and pets, you'll want to invest in one that can stand up to regular use. A good vacuum is an investment and one that should be able to last many years. No carpet? No problem. 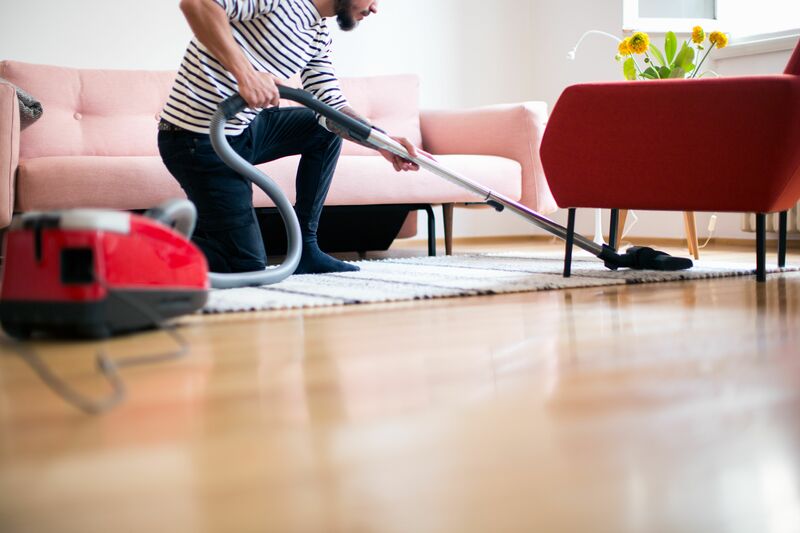 If your home is hardwood or linoleum throughout, you can skip the vacuum and opt for a more manual solution. A broom, dustpan, and mop are the most basic solutions, though a good wet-dry sweeper may make the chore a little easier. It is amazing how a clean floor can make your home more comfortable, so make this a priority. Most of your household needs will come from the kitchen. 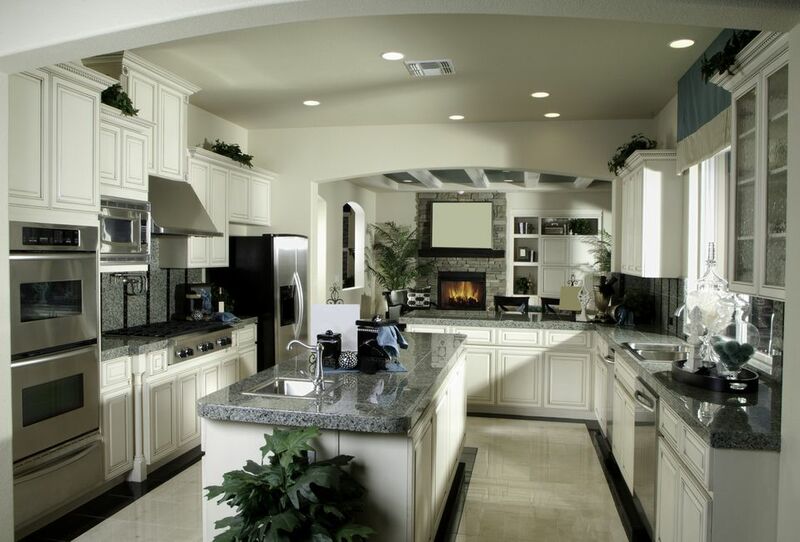 This is often the most active room in a house and you want to start off with the basic supplies you need to cook food. You may spend a little more money upfront to stock your kitchen, but it will pay off in the end. If you have what you need to cook, then you're less likely to eat out which is one of the fastest ways to spend money. Items like a large spoon, spatulas and turners, a can opener, vegetable peeler, and cheese grater are a good place to begin. Consider a set of measuring spoons and cups. No kitchen should be without a good pair of scissors, either. Knives are the backbone of the kitchen and it's wise to have a good set available for preparing food. You can stick to the essentials and have just a few knives on hand or purchase an entire set. Investing in a good set of quality knives is a wise idea and they often last for many, many years. A cutting board will also save you a lot of hassle and protect your countertops and cookware from damage. There are many materials to choose from, but the most important decision will be the size. Buy a cutting board that you will actually use and is not too big for your kitchen. Your kitchen will also need pots and pans in order to cook your food. Again, you can often save money by purchasing a set of the essentials or go with exactly what you need. At a bare minimum, a kitchen should have both a 12-inch and a 6-inch skillet as well as a 2-quart saucepan. Lids are always helpful, so look for pans that include those. A stockpot may also come in handy at times, but it's not necessary. A casserole dish that can also double as a cake pan is another necessity. A mixing bowl and an electric mixer are also very handy. Even if you don't bake, you can use these for making things like mashed potatoes. Look for non-stick bakeware and pans and learn how to care for them to prolong their life. Just be sure that your utensils are non-stick friendly as well. If you have ways to cook food, you also need ways to eat it. Dinnerware, silverware, and glassware are all essential to any home, no matter the amount of cooking you do. Your first set of plates, bowls, and silverware does not have to be the absolute best or last you forever. There are many choices at many different prices, so choose a set that you like and that fits into your budget. For the glassware, a basic set of drinking glasses is a good start. These can hold all of your favorite beverages, from milk to soda to beer. Think about adding a few coffee mugs to your cupboard so you can enjoy coffee, tea, or any warm beverage whenever you like. You can always add small appliances as you settle into your home, but there are a few that you should consider right away. These will make life just a little more convenient. Among the top choices are a coffee maker, a toaster, and a microwave. Keep in mind the amount of counter space you have available and choose models that are appropriate for how much you use them. If you don't need any of these, skip them. You might also consider a blender or food processor. These can be useful for making smoothies and pureeing food. Quite often our first homes are our smallest and you need to use what little space you have effectively. Solutions can be found for every room in your home to keep you organized and clutter-free. In the kitchen, be sure to have storage containers for leftover food so you can avoid waste. A few basic organizers will keep your drawers and cupboards neat and tidy so you aren't constantly digging for what you need. It's easy to let your closets get out of hand. Get ahead of the problem with a good set of hangers and add shelves or carefully chosen storage organizers to your closets. Everyone wears clothes and those clean clothes become dirty clothes. Laundry is an essential part of the home, even if you have to go to the laundromat. Add a laundry basket and hamper to your list of household essentials along with detergent, fabric softener, and dryer sheets. If your clothes need regular ironing, an ironing board and iron will be essential as well. Is your wardrobe mostly casual? You might be able to get away without the ironing board, but an iron can come in handy. You can always use a towel-covered table as a makeshift board.